Our organic oats are grown in beautiful and wild Scotland where unspoiled nature, the long summer sun and fertile soils conspire to create tasty oats with an exceptional nutritional profile. Oats need ‘stabilising’ to prevent them turning rancid in storage. Traditional kiln-drying uses a dry heat to warm the oats creating a nutty flavour. In time, ‘kilning’ was replaced by a faster ‘pressure steam’ process which can lose soluble ingredients. Tradition is preserved by stone-milling our oats in a 200 year old water-powered mill. The last remaining in Scotland. 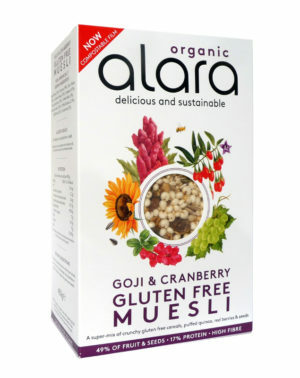 *Oat beta-glucan has been shown to lower blood cholesterol. High cholesterol is a risk factor in the development of coronary heart disease. 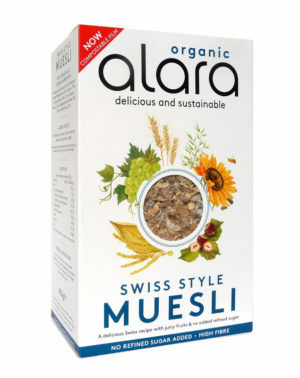 Our porridge has won Great Taste Award! This porridge had an excellent creamy texture, and it’s very nutty: the oats have kept their character beautifully. 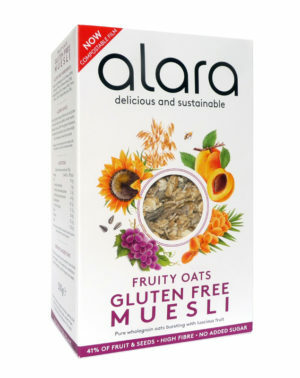 It’s warming and hearty – the oats are delicious and we really appreciated the integrity of this product. Delicious. 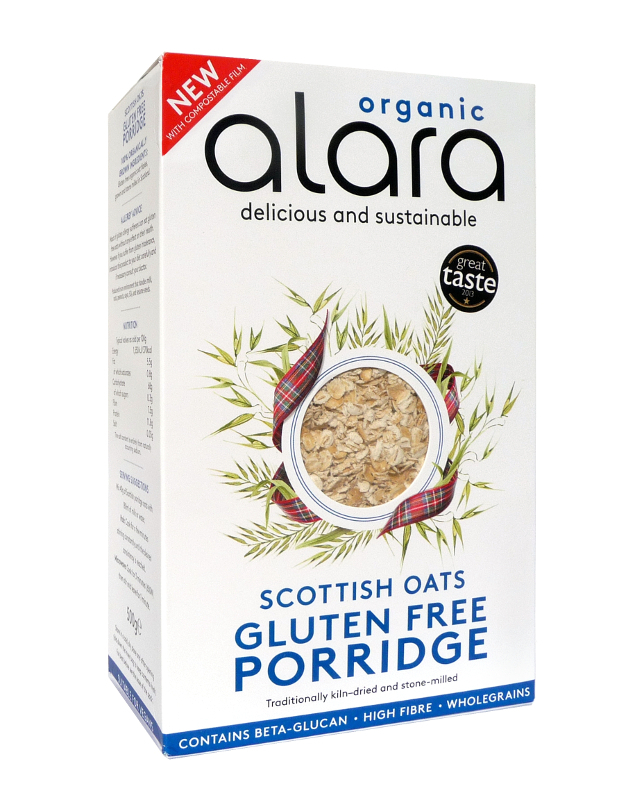 Organic gluten free oat flakes grown and stone milled in Scotland. 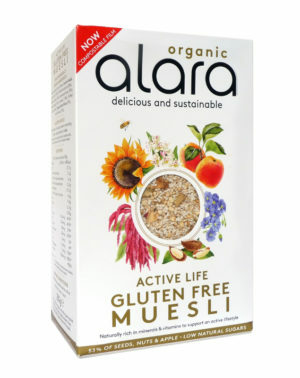 Produced in an environment that handles milk, nuts, peanuts, soya, SO2 and sesame seeds. Mix 40g of Scottish porridge oats with 180ml of milk or water. Hob: Cook for a few minutes stirring constantly until the desired consistency is reached. Microwave: Cook for 3 minutes (650W) then stir and leave for 1 minute.